I joined the Liberal Democrat Party in June 2016 immediately after the referendum. I was devastated by the result. I feel the UK will be stronger remaining in the EU. 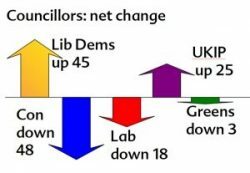 I have always favoured the Liberal Democrats and the party felt a natural fit for me, especially with their pro-remain stance. I joined the LibDems with the intention of being active in the party although at the time I had no idea how. I just felt that to try and make a difference I needed to take part and not just observe. The first thing I did was search for my local party page on Facebook, I found Tameside Liberal Democrats Facebook page. Then I discovered the LibDem Newbies UK Facebook page and was warmly welcomed by everyone. I realised then that I had made the right decision. I made contact with Tameside Liberal Democrats and was invited to my first LibDem pint just before Christmas 2016. It was great; there were representatives from my local party and also people from the more experienced Hazel Grove LibDems. I was warmly welcomed and given loads of really good advice. I came away feeling ready to take an active part. I attended a Christmas card and leaflet delivery session in Romiley. 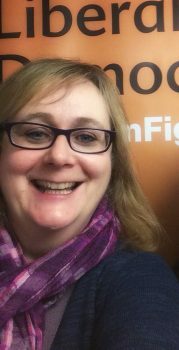 In January I attended a meeting where I was nominated and voted in as the new Chair of the reconstituted Tameside Liberal Democrats. I decided to stand as Chair because I could think of no better way to become an actively involved member of the party. I want to make a difference to Tameside and get the Tameside Liberal Democrats active again. Tameside needs a Liberal Democrat voice to be heard again. I know it’s going to be hard work but I am determined! 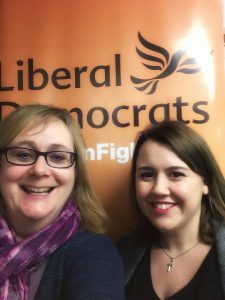 Tameside Liberal Democrats will be hosting some events in the coming months, Action Days (leaflet dropping and door knocking) and social events such as LibDem pint, Libertea and some slightly posher dinners. We are looking forward to meeting members at these events. I look forward to meeting everyone very soon and making a real difference in my community. The National Minimum Wage is set to rise by three per cent, which means workers will get a new rate of £6.70 an hour. 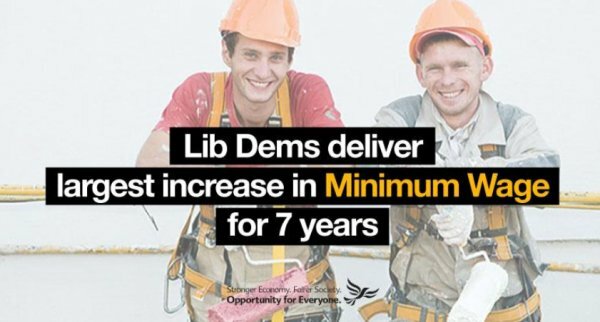 It is the largest real-terms increase in the National Minimum Wage since 2008, and over 1.4 million UK workers are set to benefit – including over 4,000 people on the minimum wage in Tameside. From the front page of our manifesto – to your pocket! 8,800 people in Tameside borough have been taken completely out of paying income tax through the increases in the tax threshold. 80,000 people in the borough have had a tax cut.